A brand new version of Tracker Dashboard is now available for download from http://start-software.com/tracker/modules/tracker-dashboard. This version, v1.0.240 SVN49, has had the emailing code completely rewritten for improved performance and reliability. It also now has the capability of connecting to the latest email servers and secure servers operating on unusual ports. Tracker Dashboard is part of the Tracker and Alpha Tracker asbestos software family from Start Software and is used to send daily, weekly and monthly automated and personalised emails to staff working within environmental consultancies. Please either download the software and apply the update yourself, or contact the office for assistance. 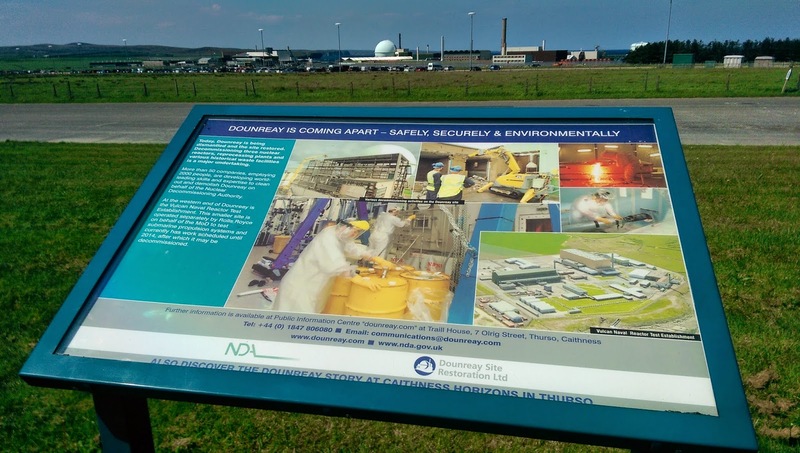 Dounreay Site Restoration Limited (DSRL) is the site licence company responsible for the clean-up and demolition of Britain's former centre of fast reactor research and development. "Dounreay is coming apart - safely, securely and environmentally"
We have just spent a very enjoyable two days on site with Dounreay's specialist asbestos team, training them to use Alpha Tracker to speed up the asbestos surveying process and improve working in their on-site asbestos lab. The asbestos team are working with the other decommissioning specialists to enable the complex process of dismantling the nuclear facility to run as smoothly as possible. Dounreay's team chose Nexus 10 android tablets to use with Tracker Mobile, the handheld data collection side of Alpha Tracker. lots of performance improvements and bug fixes. This update is now ready to download within Alpha Tracker itself. Please note that it requires the latest database update too - contact the office to discuss if you are not sure how to apply the updates. Leading independent health, safety and environmental consultancy Bauer Compliance have now gone live with Alpha Tracker to automate their asbestos surveying process. 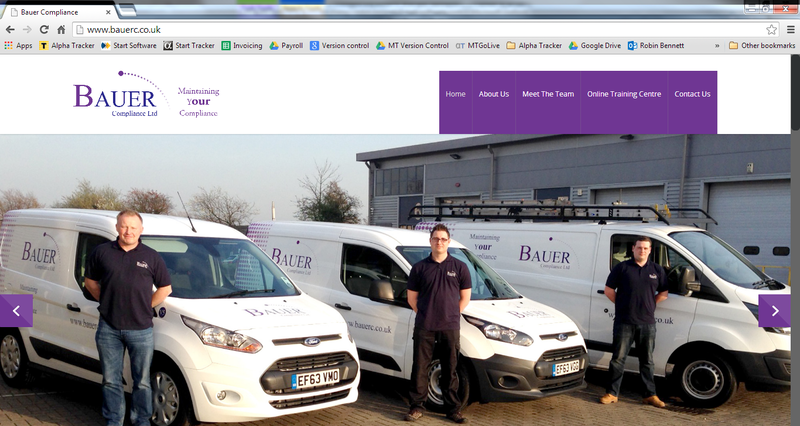 Bauer Compliance offer the full range of asbestos services from their premises in Norfolk and Essex. After receiving their online training, it was great to receive the comment "The training was very informative and well presented." - our pleasure! This update improves a number of cosmetics in reports including the suppression of page breaks between multiple bulk certificates in asbestos reports. Alpha Tracker Document Maker is part of the Alpha Tracker family of asbestos software. Please contact the office if you would like this update. There is a new version of Tracker Dashboard available for download from http://start-software.com/tracker/modules/tracker-dashboard/. Tracker Dashboard is the Tracker and Alpha Tracker module that sends automated, personalised emails with action lists, charts, system summaries etc. Tracker Dashboard is particularly useful to busy asbestos consultancies wanting to streamline their admin. This update improves the layout of bar and line charts when there are lots of entries in the "X axis". It also has a number of minor performance improvements especially when running on 64 bit systems. If you are unsure how to download and apply the update, or would like us to do it for you, please contact the office. New email addresses at Start Software - we are now start-software.com! We've switched email servers over the long weekend and so all of the team are now available on their new start-software.com email addresses. For example, if you previously contacted fred.smith@start-software.co.uk then you can now email Fred at fred.smith@start-software.com. The old email addresses will continue to work for the time being but please do update your address books now. If you have any questions about this change, please do contact the office. We answered 422 customer queries and problems last month - wow. Nearly 9 in 10 were solved within the time-scale set by the customer which is a real achievement for our support staff.